Elephant Games, the paradigm-shifting creators who designed the Grim Tales, Haunted Hotels, and Mystery Trackers universes, has come up with the long-awaited seventh installment from the hit Surface Series. Surface: Alone in the Mist Collector's Edition is the next chapter from this epic series. It is going to keep you on the edge of your chair as you hunt for clues and hidden objects and unlock achievements for hours. 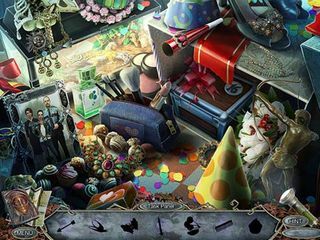 Take a whirl in this chapter of the epic Hidden Object Puzzle Adventure game series and figure out what’s really going on below the surface. It’s Carol Evan’s Sweet Sixteen. She wakes up in the morning and something’s not right… her parents are gone! Now, you may be thinking, “I wished my parents would disappear when I was sixteen,” but things are a bit more serious that what it seems on the surface. Not only are her parent gone, but all of the adults in her home town of Rocksberg are also missing! What happened? Where are the adults? Where are your parents? Are they coming for you next? Get to the bottom of what lies below the surface in Alone in the Mist. The Collector’s Edition of this game offers so much more fun. 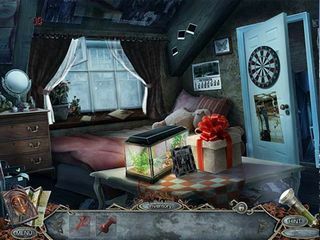 One of the major tasks for you here it the Hidden Object Scenes (which are made up of Listed items, Silhouetted Shape finds, and even finding items that match a sentence being spoken on a tape recorder). Then there is a bonus game where you will be able to unlock some of the town’s mysteries. Wow, you live in a corrupt society below the surface! If you need just a little bit of help on your journey here, you have a Strategy Guide. If you are a fan of cool media downloads, they are available for you as well. Unlock the secret room and see just what lies behind plain view in Surface: Alone in the Mist Collector's Edition. This is Surface: Alone in the Mist review. Download this game here.